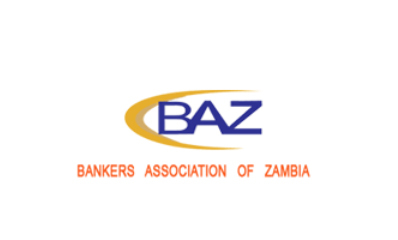 The Bankers Association of Zambia (BAZ) has disclosed that Zambia processed 18.4 million transactions worth K1.5 billion through the Point of Sales in 2018. BAZ Chairperson Kola Adeleke says the processed transactions represent an increase of 51% from the 12.2 million transactions which were processed in 2017. Speaking during the National Launch of the Financial Literacy Week in Lusaka yesterday, Adeleke said that in 2018, 6.7 million transactions valued at K59.7 billion were processed on electronic funds transfer platform compared to 5.9 million transactions valued at K38.9 billion in 2017. And the Ministry of Finance has challenged the financial service providers in Zambia to double their efforts in promoting financial inclusion. Officially launching the National Financial Literacy Week in Lusaka, Finance Minister Margaret Mwanakatwe said that more needs to be done in improving financial inclusion in the country. Mwanakatwe, in a statement read on her behalf by Secretary to the Treasury Fredson Yamba, said that about 60 percent of the adult population do not use financial services. The Finance Minister has further observed the need to plan well for the future by way of embracing savings. Mwanakatwe has also appealed to the Pensions and Insurance Authority (PIA) to ensure that players in this sector help people in planning for the future. Speaking at the same event, Bank of Zambia (BoZ) Governor Dr. Denny Kalyalya, in a statement read on his behalf by BoZ Deputy Governor Dr. Bwalya Ngandu, said that digital financial services are now playing a major role in achieving financial inclusion. Kalyalya also said that there is need to see an improvement in saving as this is key in helping the people. And Pensions and Insurance Authority Chief Executive Officer Martin Libinga said that the authority has engaged the Ministry of General Education to ensure that they inculcate the knowledge of financial literary in pupils at an early age.